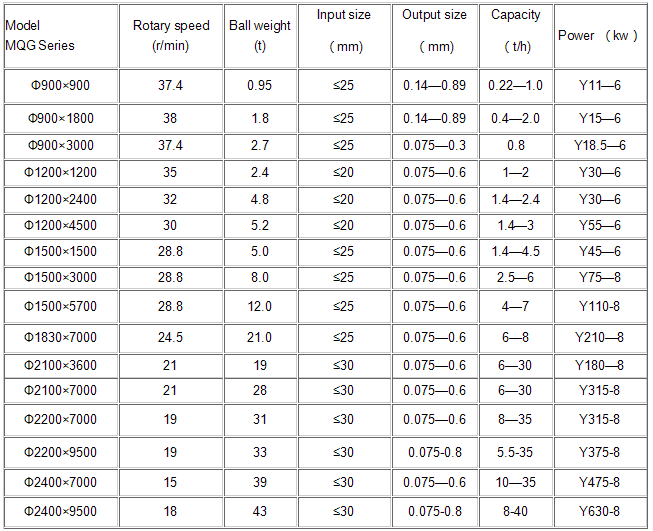 iron ore, slag, copper ore, silver ore, galena and other materials. Widely used in cement, silicate products, new building materials, refractory materials, fertilizers, black and non-ferrous metal dressings and glass ceramics and other production industries. 3. 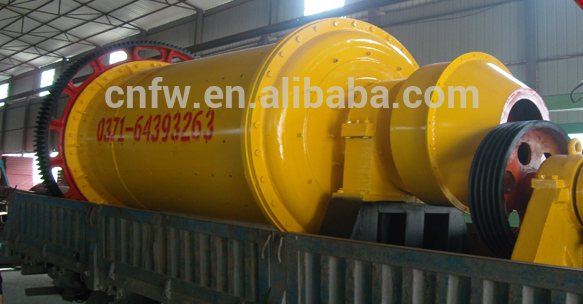 The main bearing uses a large diameter double row self-aligning stick bearing ,instead of the original sliding bearing,reducing friction,energy consumption ,so the ball mill is easy to start. 5. 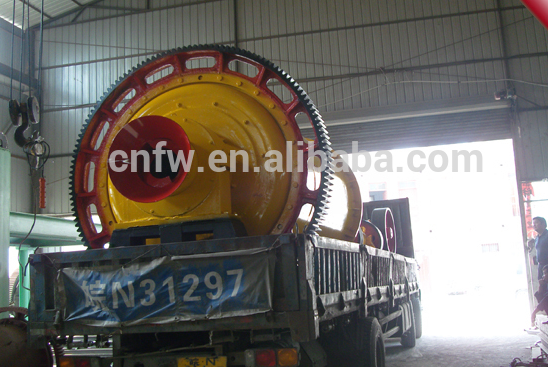 The feeder is divided into 2 types:a combined feeder and a drum feeder ,the structure is simple and installed separately. 6. 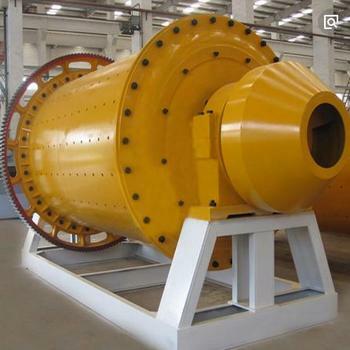 No inertial impact,the ball mill runs smoothly and reduce the maintenance time of the mill when stopping which increase the working efficiency. 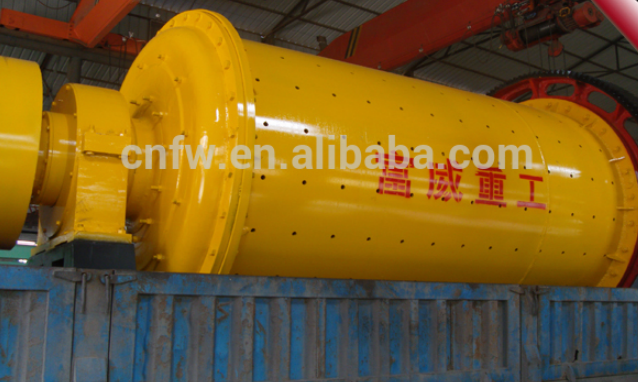 The raw material is ground into a hollow cylinder through a hollow journal, and the cylinder is filled with grinding media of various diameters (steel balls, steel bars or gravels, etc.). When the cylinder rotates around the horizontal axis at a certain rotation speed, the medium and the raw materials contained in the cylinder are separated from the cylinder by the centrifugal force and the friction force, and when reaching the certain height, the gravity is greater than the centrifugal force. The raw materials are thrown down or rolled down and crushed due to impact. At the same time, during the rotation of the mill, the sliding movement of the grinding media to each other also produces a grinding effect on the raw materials. The ground material is discharged through a hollow journal. Gongyi Fuwei Heavy Machinery Plant is located in Gongyi city , 82kilometers away from zhengzhou city (capital of Henan province) ,we have an office in zhengzhou Zhongyuan Wanda Plaza which is convenient for your visit. We are engaged in the scientific research , production and sales of energy saving heavy machinery and have more than 20years manufacturing experience and have CE and ISO 9001:2008 Certificate . Our production lines :Autoclaved Aerated Concrete (AAC) block production line , Sand processing line, cement production line and mining production line. Our main products : Jaw Crusher, hammer crusher, ball mill, sand making machine, flotation machine, rod mill, wet pan mill, dryer ,rotary kiln, AAC block making machine, brick machine,nail making machine,charcoal machine. We can provide you the site visit ,free project design, free technological process design before order and installation, commissioning and trainning after order. On-sale service: you will get techinical assist about the installation, trainning and commissioning. 1.Are you a manufacture ? 2.How can i visit you ? We have one office in Zhengzhou city and we can pick you up very easily . 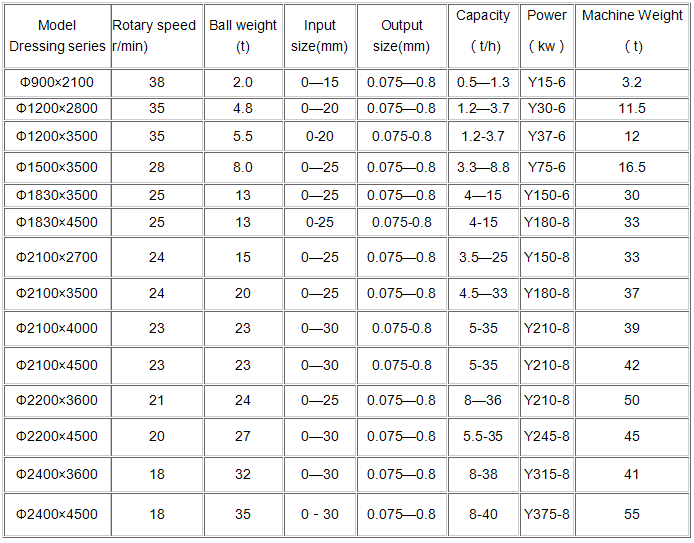 3.How can get quotation ? The best is sending inquiry to us directly or leave message to us online and we will reply you within 24hours .